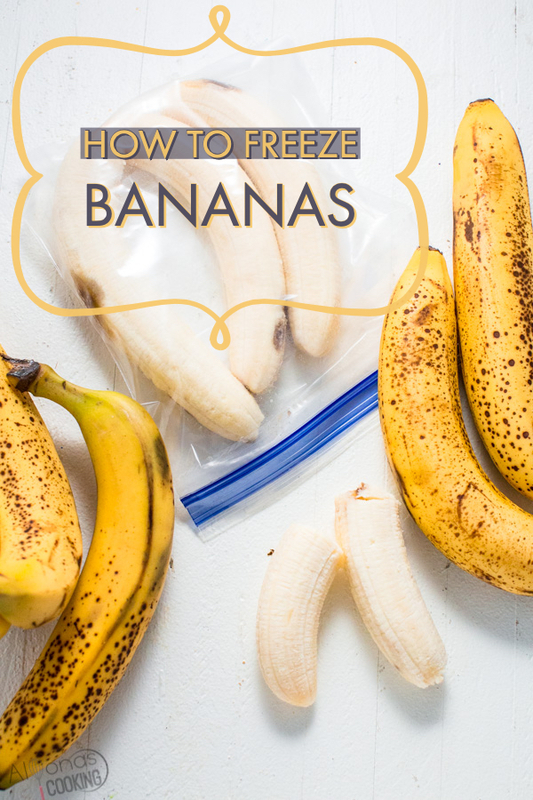 Freezing bananas are super easy! It’s best to freeze ripe bananas and doing so, will preserve any that you won’t be using up soon. There are different methods to freezing bananas but for one of the easiest ways to do so, just stick to this method. Don’t worry there’s no flash freezing involved. It’s really simple! Can I keep bananas in the fridge? Refrigerating bananas can help preserve ripened bananas a few days longer, but chances might be you can forget about them so it’s best to freeze any ripe bananas instead. Be careful not keep green bananas in the fridge as that can ruin the ripening process. What are the methods to freezing bananas? Freezing Bananas in their peels- Can be a slimy mess and a chance to deal with a stringy peel. 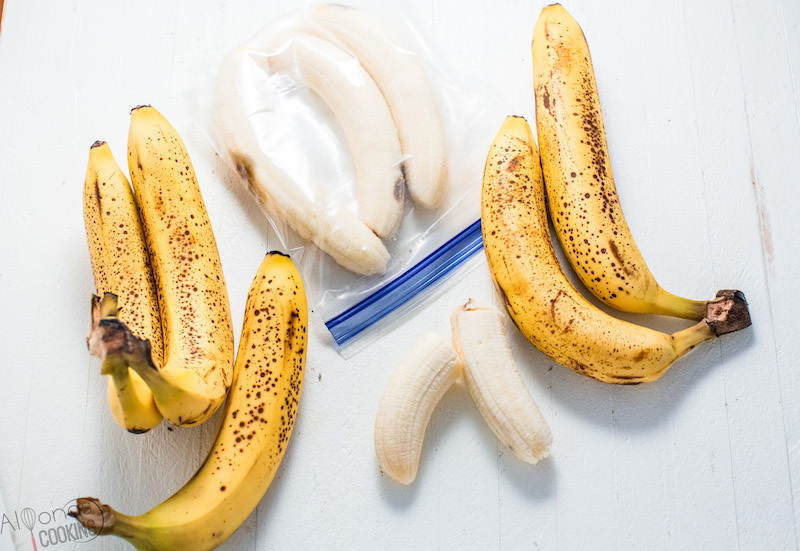 Slicing or cutting banana into chunks then flash freezing– Requires lots of cutting and freezer space then transferring many to a zip-loc bag. 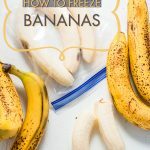 Wrapping each banana in plastic wrap then freezing in a zip-loc bag- Functional and perhaps can help with a freezer burn. Simply freezing by 3 banana portions directly in a zip-loc bag- Easiest way in my opinion. Straight to the point and works great for when you want to use bananas in recipes as their portioned off and frozen whole. So what’s the best way to freeze banana’s? 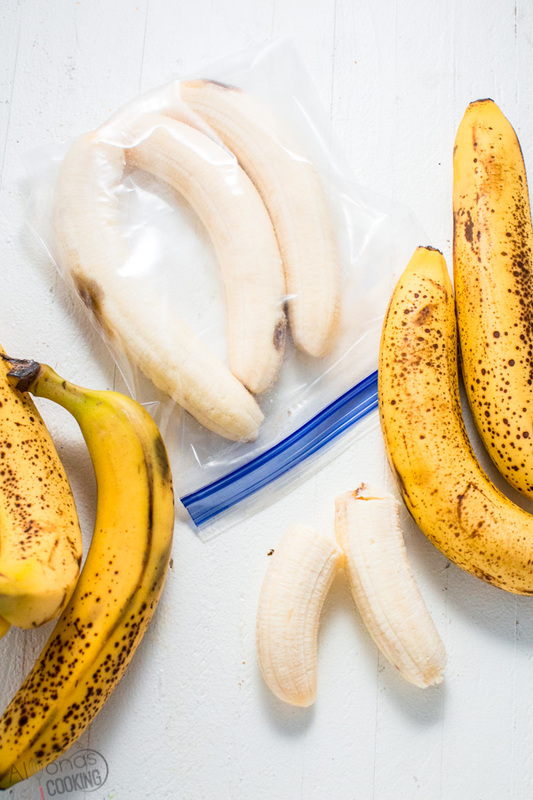 Freezing whole bananas in portions of 3, directly into a zip-loc bag is the easiest way! Unless you have super mushy bananas then you really shouldn’t deal with a clump. Freezing individual bananas not only portions off a common amount for most baked banana goods but you can reach out for however much you need since their frozen whole. Most recipes call for the number of bananas, I don’t think it would be fun figuring out how many chunks make 1 banana…. Place 3 ripe bananas into a quart or sandwich sized zip-loc bag. Get as much air out as possible and seal the bag. Keep in the freezer for up to 4 months. How do you defrost frozen bananas quickly? If using bananas in smoothies there is no need to thaw them, blending them frozen works best. However if you plan to use them in baked goods microwaving frozen bananas for a few minutes is one of the quickest ways. Freezing bananas are super easy! It's best to freeze a ripe banana and doing so will preserve any that you won't be using up soon. Can freeze as many bananas as you would like just portion every 3 bananas into a zip-loc bag.